There are businesses in India which still use the manual Balance Weighing Scales. These type of scales mostly are used in godowns and warehouses to measure grain. Their origin lies in a design which used a balance beam resting on a pointed fulcrum in the center, with a scale cup/container at each end. This type of balance scale worked when the object to be weighed was placed on one side and its weight compared to the other side which had a preset weight. In this photograph the beam used is not in the centre but at the top. These are ancient designs, not manufactured now. These type of scales have now been replaced with electronic or digital scales. 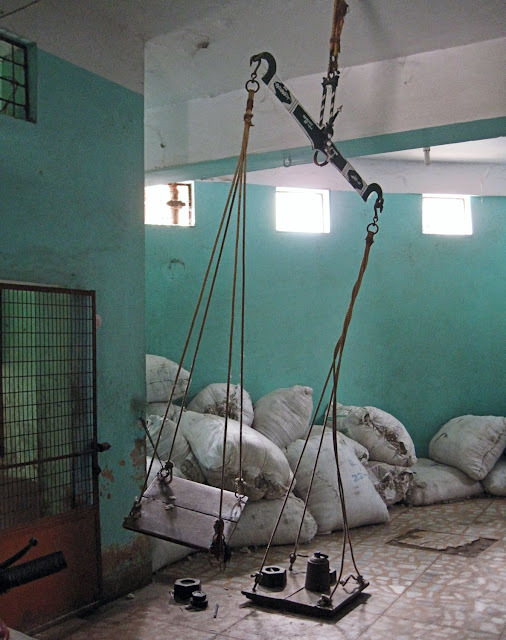 In these pictures you can see metal rods and ropes holding up two wooden boards on which weights are kept. A hook at the centre of a horizontal metal bar holds the gadget in place. These scales work fairly well as long as one is not looking for decimal point accuracy. One has to ensure that the centre bar is properly balanced. 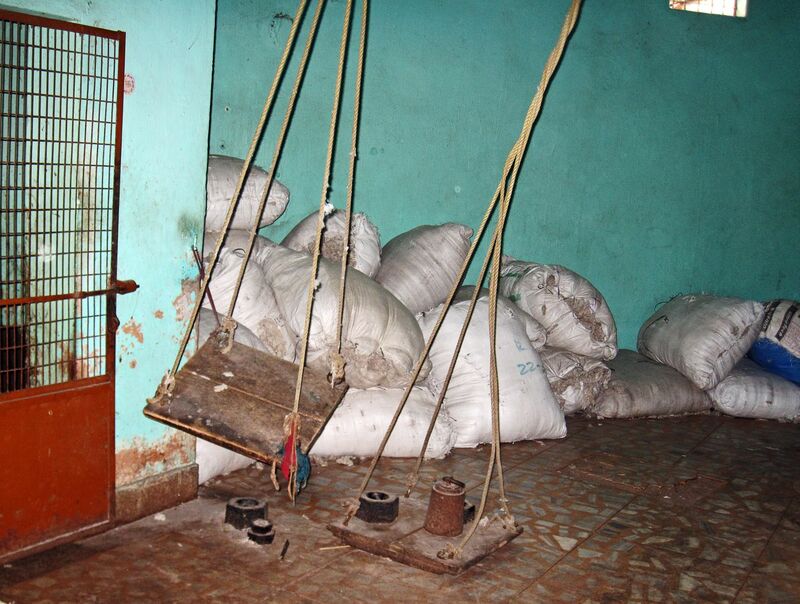 The large weighing scales in a warehouse full of sacks of material. 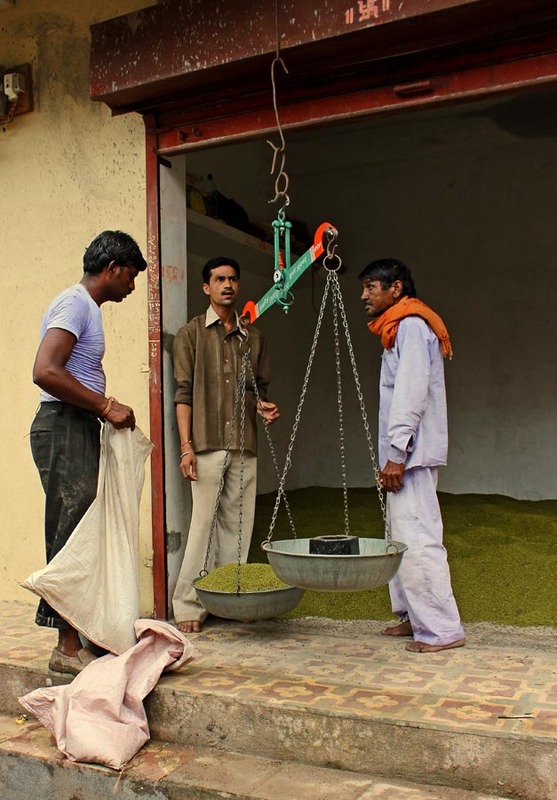 Green lentils being weighed in a godown or warehouse in India.